Other applications include bath mats, carpet cleaning, swim towels, pet or patient urine soaking pad, a patient wash cloth, a bar counter and restaurant table cleaning cloths - suitable anywhere where a surface or floor needs quick drying. Regardless of the industry in which you work, the best wiper will make your job much easier. 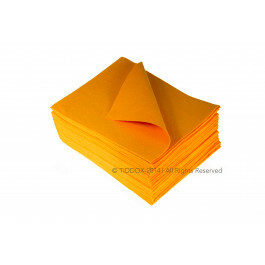 A wipe should be sturdy and absorbent, and preferably without lint. You should be able to just pick up a wipe and use it, rather than soaking it for a while like you do with a dried-out chamois. Whether you need an automotive wipe or a stack of healthcare towels, the wipe should conform to the shape of the object you are cleaning. This provides maximum absorbency and makes cleaning so much easier. But with the glut of towels on the market, how do you know which one is the best wiper? Let’s make it an easy choice – get SuperMAX. The SuperMAX is one of the best medical and car care wipes on the market. Part of this is because it is so absorbent. It will hold as much as 8 times its own weight in liquids. Whether you need to towel up automotive oil, urine, or water, the SuperMAX will stop the spread of the spill and contain the liquid before it creates a hazard. Don’t you just hate it when you mop up a mess and the wipe drips all the way to the laundry or garbage can? The SuperMAX is so absorbent that it seldom drips. It is made of a hydrophilic material that holds the liquid tightly until it is wrung out. Now, when you mop up an oil spill in your garage, you won’t have additional drips of oil waiting to get stepped in and tracked around! Imagine the benefits of such an absorbent medical wipe! EMS and emergency rooms stock the SuperMAX because they are quickly put to use and immediately absorbent. We all use disposable wipes. Baby wipes, medical wipes, even carpentry wipes have their uses that can’t be denied. But sometimes you just need a good towel that will take care of bigger messes – over and over again! The SuperMAX can be wrung out like a sponge, washed in the laundry, dried in the dryer, and reused over and over. Plus, it is so affordable that you can cut one up and give a section to each of your employees to keep in their pockets for quick cleanups, or look at the MAXI WIPES, a smaller sized version of the SuperMAX. While some reusable wipes gradually lose their absorbency, the SuperMAX springs right back. Yes, it will eventually wear out, but it will absorb liquids like a champ until the last thread. No more stiff-as-a-board chamois hanging in your garage. Now, just keep a couple of SuperMAX handy for your car care wipe! Automotive mechanics, marine, mining and manufacturing businesses often have to deal with unexpected spills, that require a large absorbent floor pad to rapidly soak up the liquids or oils. The cost of the SuperMAX is surprising less than the thickness and absorbency of the cloth would lead one to believe. As such, this makes it ideal for high usage cleaning up tasks that require a cost effective solution. Whether you need an industrial wipe or a carwash towel, the SuperMAX is the best wiper for you. Other related products from TIDDOX's range of cleaning cloths are the MAXI WIPES, the INDUSTRO WIPES, and the JUMBO RHINO ROLL.